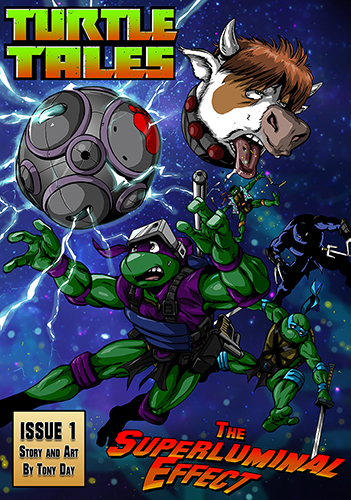 A collection of stories under the Turtle Tales banner. Hopefully the purpose of this project is one of constant change. I intend to create different stories in different styles and mood at varying lengths. Some could last a single issue where others, like my first Story, "The Superluminal Effect" could go on further. It all depends. At some point it would be interesting to see if other writers would like to join in. Hope you all enjoy my (unofficial) sequel to Turtle Turncoat.